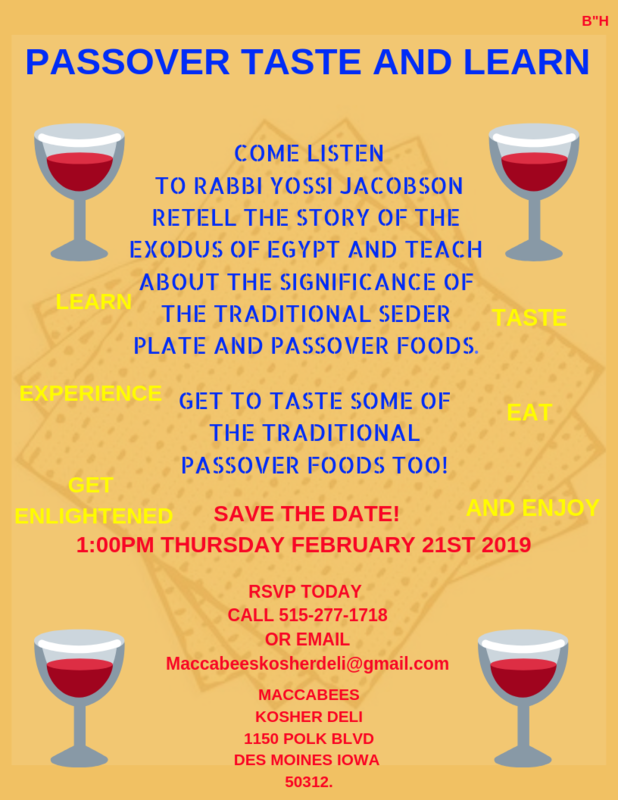 Come listen to Rabbi Yossi Jacobson retell the story of the exodus of Egypt and teach about the significance of the traditional Seder plate and Passover foods. Get to taste some of the traditional Passover foods too! RSVP today. Call (515) 277-1718 or email maccabeeskosherdeli@gmail.com.